"For his contribution to the remote sensing and defense research and his active promotion of Physics Education"
"For his outstanding contributions to Science Education and the promotion of science in Singapore." "For his outstanding contributions to combinatorial designs, coding theory, cryptography and sequences, and leadership in Science." 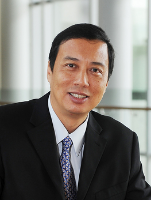 "For his tireless efforts to strengthen scientific research throughout Asia, leadership in promoting international physics education and scholarly exchanges and enriching the world of research and teaching through the many books, manuscripts and journals published by World Scientific Publishing Co."
Raffles Professor of Social Sciences at the National University of Singapore. "For his path-breaking work in mathematical economics by providing a much needed mathematical foundation for modelling a large market with many agents under individual level uncertainty, and for his discovery of a series of surprising results in probability theory and economics." "For his contributions to the representation theory of classical groups, in particular for proving the multiplicity one conjectures for smooth representations and conservation conjecture for local theta correspondence." "For his pioneering work in the development of chemistry in Singapore and Asia Pacific, uplifting the research in the National University of Singapore, and significant contributions in the physical organic chemistry particularly in the areas of molecular conformation." "For his long-standing contributions to promotion of chemistry and professional development of chemists in Singapore and significant contributions in the science of conducting polymers. "For his lifelong contribution to the promotion of chemistry in Singapore, selfless leadership in the Department of Chemistry of the National University of Singapore, and significant contributions in the chemistry of natural products." "For his contribution to the rapid transformation of Nanyang Technological University to become the world top university and help to redefine education and research by championing key thrusts in science and engineering." Professor, National University of Singapore. "For her outstanding work in innate Immunity & pathogen surveillance strategies and application of research achievements to biotechnology industry." "For his contributions to particle physics, nonlinear dynamical systems and complex networks." "For his pivotal role in the development of environmentally-friendly procedures for environmental analysis, in particular the “liquid-phase microextraction” (LPME), a term that he coined that is now part of the modern analytical chemistry lexicon." "For his outstanding and pioneering contributions to distributed data management and to the management of spatio-temporal and multimedia data." President, National University of Singapore. "For his pioneering work and leadership in clinical and biomedical sciences in Singapore, as well as leading NUS to further distinction among world class universities." "For her contribution towards the development of advanced nanostructured materials for catalytic and biomaterial applications and for scientific leadership in A*STAR." "For his pioneering work in human embryonic stem cell research in the early years of the field and continued innovation and contribution to stem cell biology and the biomedical applications." "For his fundamental works in information processing in quantum-mechanical systems and quantum cryptography." "For his resolution of several outstanding problems in the Langlands program and the theory of theta correspondence, and his formulation of and work on the Gan-Gross-Prasad conjecture for classical groups." "For her contribution to Singapore biomedical research and research in epithelial biology." "For his profound contribution to Singapore biomedical research and his work on cancer therapeutics"
"For her significant contributions to Botany and her services to science, education and public service in Singapore." "For his contribution in the development of new, environmentally friendly and efficient methods in organic chemistry." "For his scientific scholarship, leadership, and seminal contributions to peptide science and peptide therapeutics." "For his seminal research on the retinal blood vessels as a unique model to study early cardiovascular and metabolic diseases and the application of that insight to routine clinical practice." 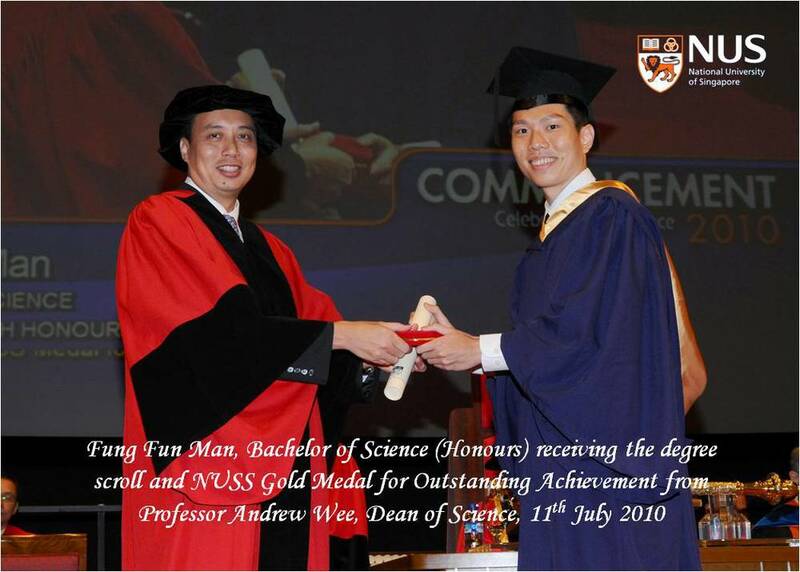 "For his mechanistic understanding in molecular binding on semiconductor surfaces, and his leadership in deepening bilateral relationship between China and Singapore through the NUS (Suzhou) Research Institute."